Truffles are one of those foods that tends to get a strong reaction. Like cilantro, Brussels sprouts and blue cheese, you either love ’em or hate ’em! Truffles are intensely fragrant and hard to find in most places except Italy. They are the underground fruit of ascomycetous fungi. The fruit spores are dispersed though being consumed by fungivores. They are so rare they may be the most expensive ingredient you can indulge in at $1000-$3000/pound. Why are they so expensive? Truffles cannot be farmed; they grow only in the wild. 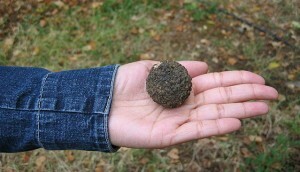 ‘Harvesting” truffles is a true challenge –- a hunt. Trained dogs sniff out the truffles from their underground hiding places among the roots of trees. Traditionally pigs were used for this task but they would often eat the truffles before they could be gathered. A little more complicated than just going out and picking up mushrooms! The most prized truffles in the world – the Tuber magnatum pico or white truffle – are found almost exclusively in Italy, making the Italian peninsula the best place to try Italian foods seasoned with truffles. Knowing the effort that goes into procuring truffles helps explain the high price, which leaves another question: if you’re planning to spend their money on the Italian truffle experience, what is the best way to try them? Well, to stick with iconic Italian fare, you can’t go wrong incorporating truffles into a pasta dish. Foodies recommend keeping the pasta dish simple in order to really highlight the flavor of the truffles. Another favorite is pizza with a hint of shaved truffles on top or a drizzle of truffle oil. True connoisseurs say they never actually cook their truffles. A precious white truffle can instead be turned into truffle butter without compromising the integrity of the flavor. 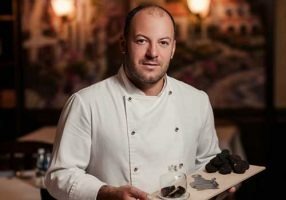 To taste a truffle-flavored dish while in Italy, choose a reputable restaurant that can show you the truffles they are using. No one will be offended if you pleasantly and eagerly ask to see their truffles. The smell is unmistakable so a sniff of your dish will confirm. We often buy our truffles in Italy at the airport duty free gourmet stores where they are vacuum packed so they don’t “perfume” your carry-on luggage. Fresh truffles are yet another reason to enjoy Italy in Autumn.